It’s official– The Heretic’s Guide to Homecoming, Book One: Theory is officially available for pre-order! 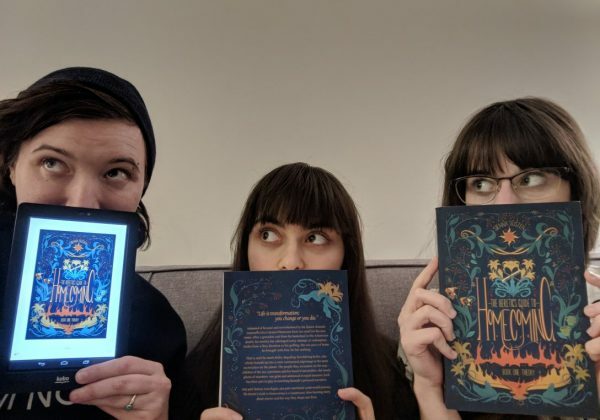 We are buzzing over here at Molewhale Press, and cannot WAIT to share this exciting new work with you. Just look at our happy little faces! If you like what you see, please let us know either on twitter or facebook. We’re always happy to say hello and share in the excitement for this growing world!